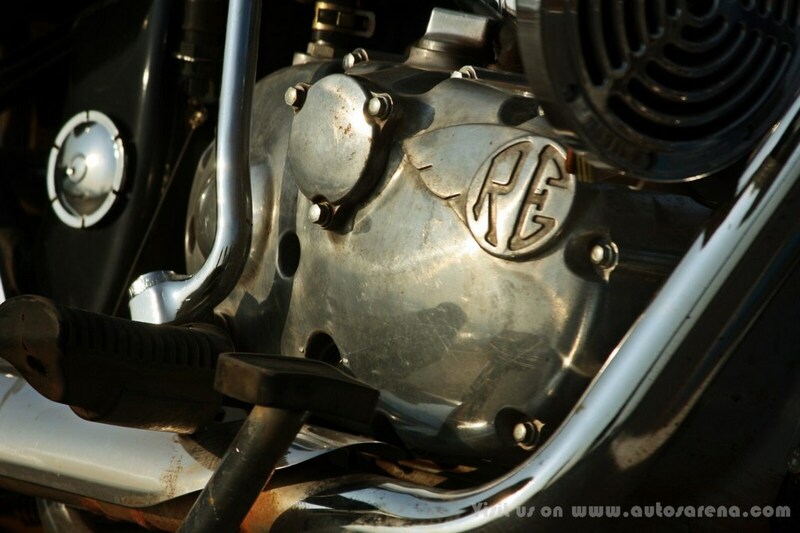 Royal Enfield, this brand needs no introduction. 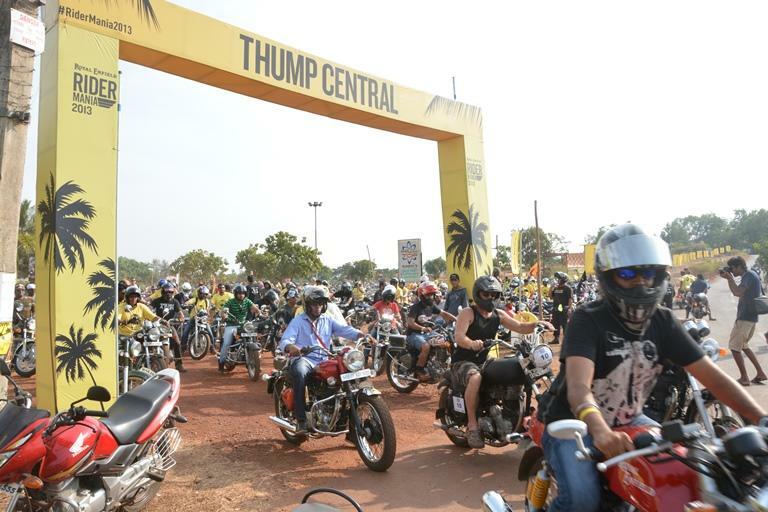 The bike maker is famous for the Bullet and their THUMP. In 2009 Royal Enfield introduced the retro look Classic 350 and Classic 500 which became the new face for company and received a lot of popularity with its new fresh design & also with a more refined engine. 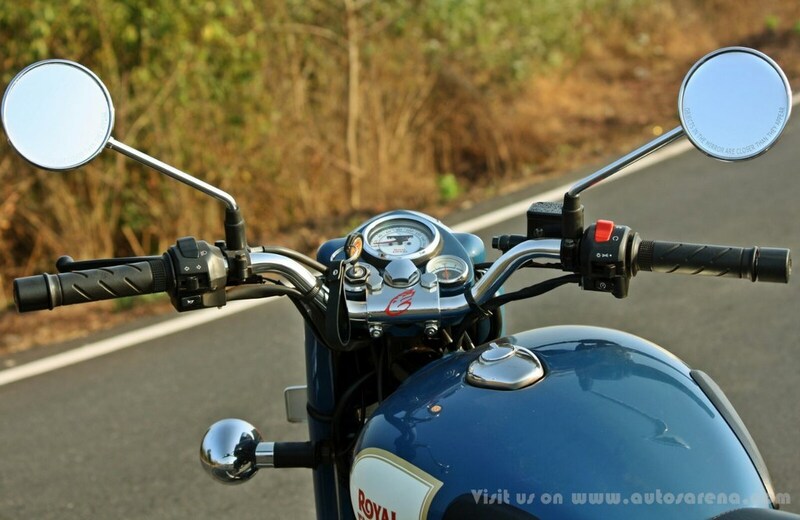 We spend time on the 2015 Royal Enfield Classic 350 to tell you more about its perfect combo of retro look with modern touch. 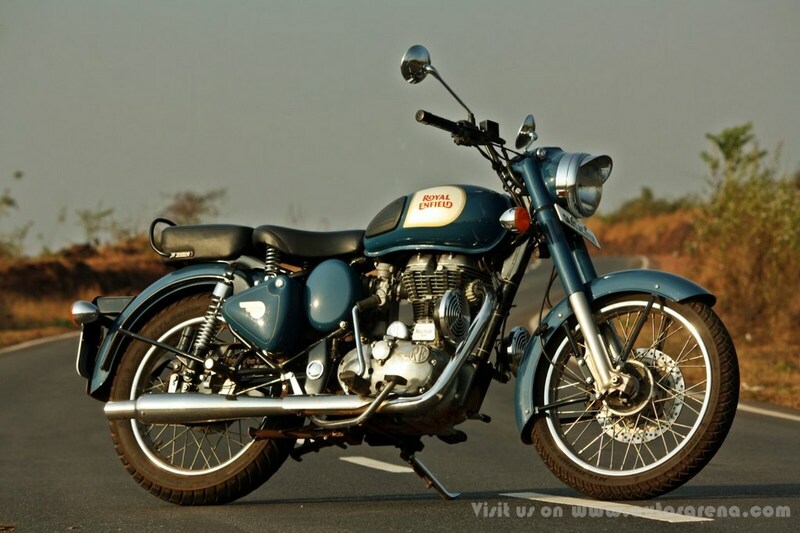 The Royal Enfield Classic 350 is a fine example of a retro design with modern parts and technology. It feels strongly built & is fit as horse with the full metal body. Apart from the new color options the rest of the bike still follows the all chrome treatment which makes it look class apart and shiny. The new graphics give it an upmarket look. 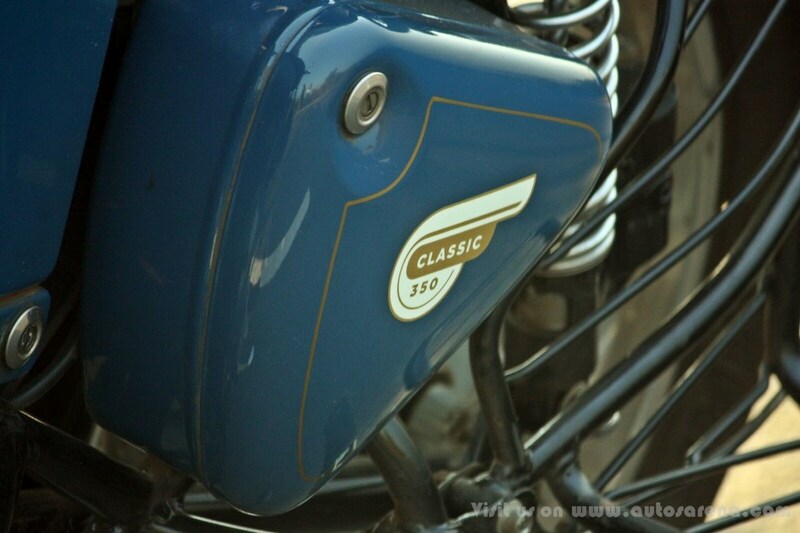 The mirrors of the Classic 350 are in full chrome adding to the shiny look. 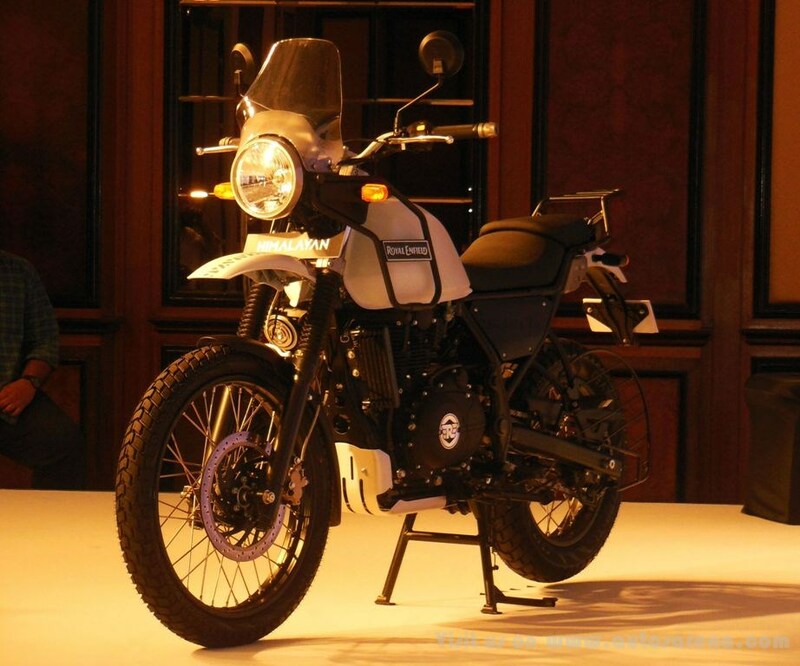 Chrome embellishments are extended to headlamp cover, side indicators, and the long silencer. 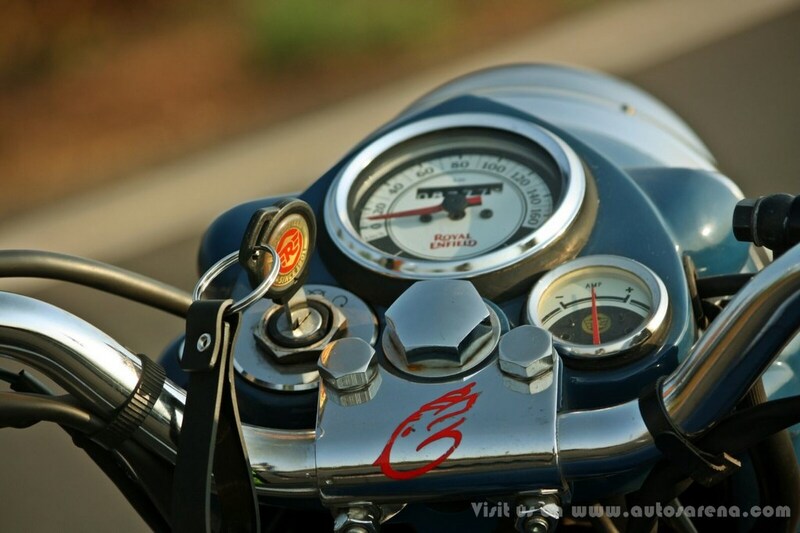 The odometer and engine also gets a touch of chrome treatment. The split seat offers you to ride solo and hang on the necessities during touring. The Classic comes with a typical RE round headlamp of 12V, 60W/55W Halogen & round tail lamp. The headlight also houses the standard pilot lamps. The muscular tank makes it look astonishingly aggressive from side & Go-with-flow tail section looks typical RE. 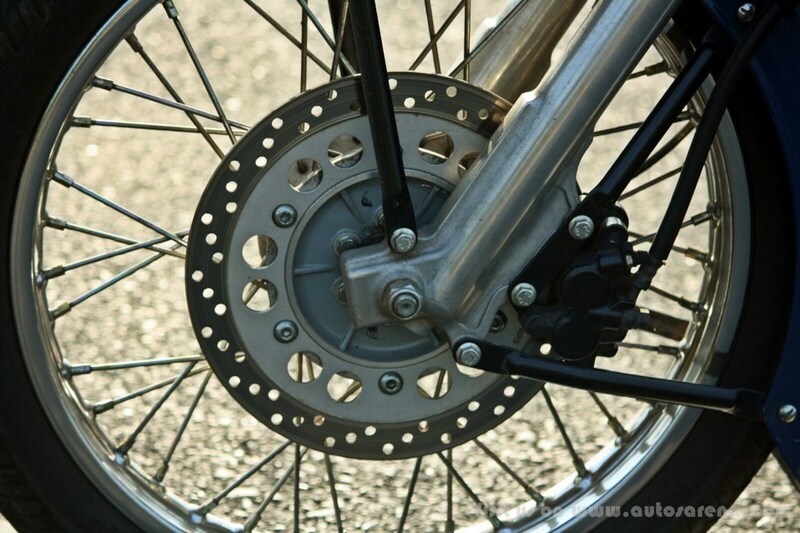 Front wheel has 90/90 – 19’ MRF Zapper tyres with 280mm Disc Brake combined with 2 Piston Caliper which has good stopping ability. 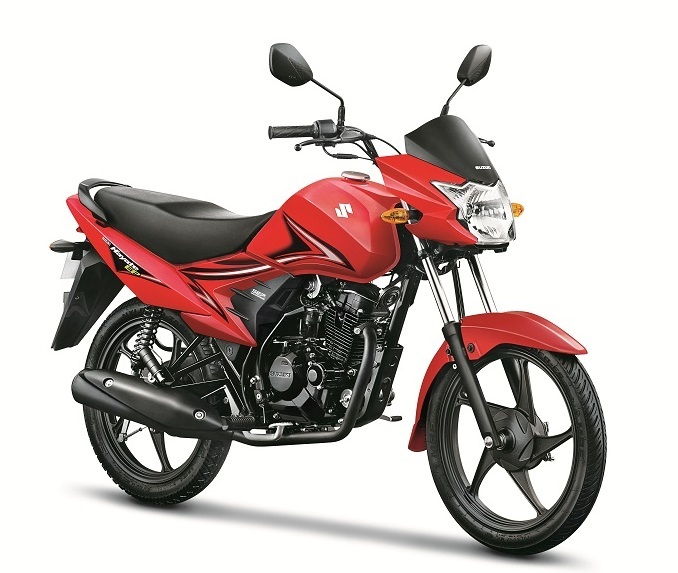 The rear wheel comes with 110/90-18’ MRF Zapper tyres with 153mm Drum brake Single Lead Internal Expanding which does not offer confidence braking considering the weight of the motorcycle.. The single pod analogue instrument looks retro but dated. 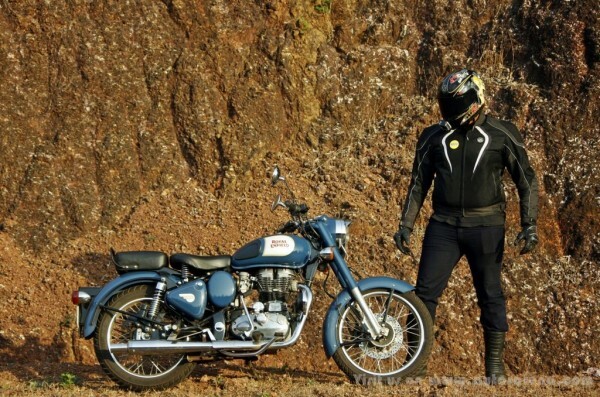 Overall the Royal Enfield Classic 350 does have the road presence to make feel proud and big. Classic 350’s 346cc, Single Cylinder, 4 Stroke Twin Spark engine is refined unit producing 19.8 bhp of peak power at 5250 Rpm & 28 Nm of max torque at 4000 Rpm. It has the amazingly smooth 5 Speed Constant Mesh Gearbox with one down & four up gear-shift pattern that gives out the top speed of 130 kph. However the touring bikes aren’t always about top speed. They are used for long hauls at constant speed where the top-range performance is more important for smooth sailing which the Classic 350 does offer. At high speeds the Engine does feel strained and one can feel the strong vibrations. The other most important aspect is fuel efficiency when going for long weekend rides. 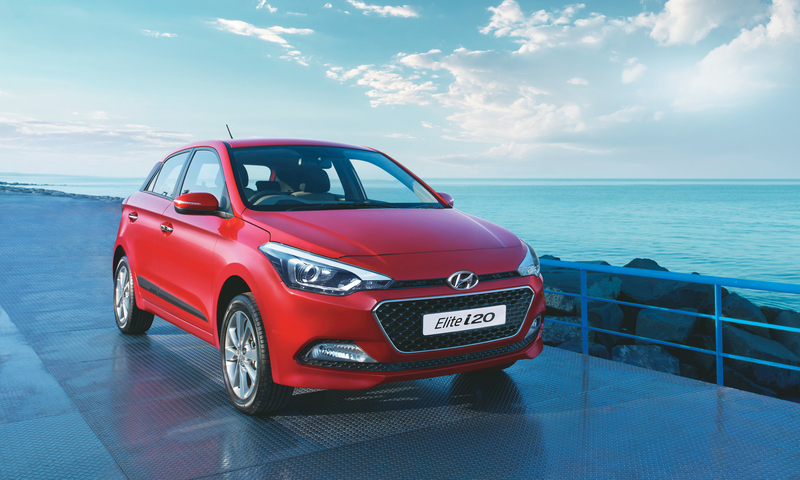 With a Full fuel tank capacity of just 13.5ltrs it manages to give the fuel efficiency of 25-30 kmpl in city & 35-40 on highways giving it a range of approx. 300kms. Riding posture on the Classic 350 is upright like a typical commuter bike.. As experienced on all RE motorcycles on this you too experience high frequency vibrations at the speeds above 100 kmph which make you difficult to handle bike at high speeds giving a lots of vib-massage to your hands. 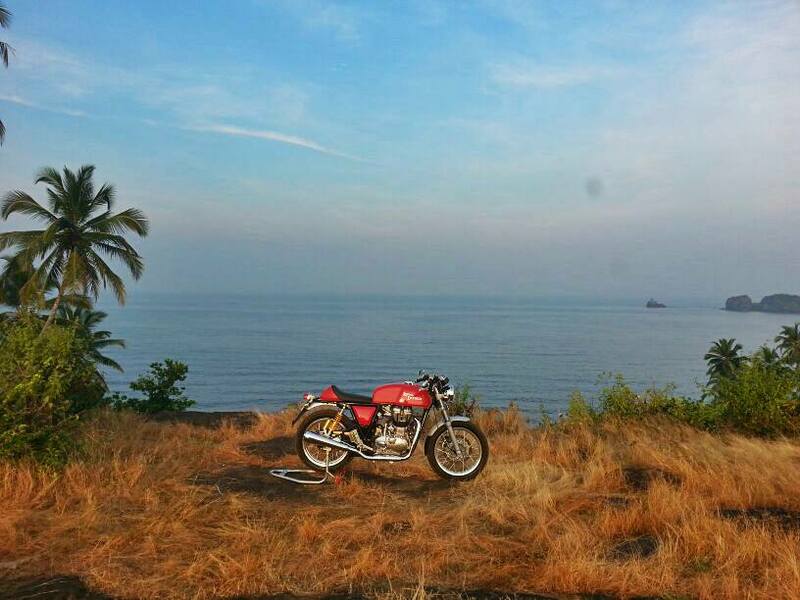 The Classic 350 can be best enjoyed between 60-80 kmph where you can feel the thump of the bike & enjoy the view of nature peacefully. Also for effortless cruising for long hauls Classic 350 is one of the good bikes. 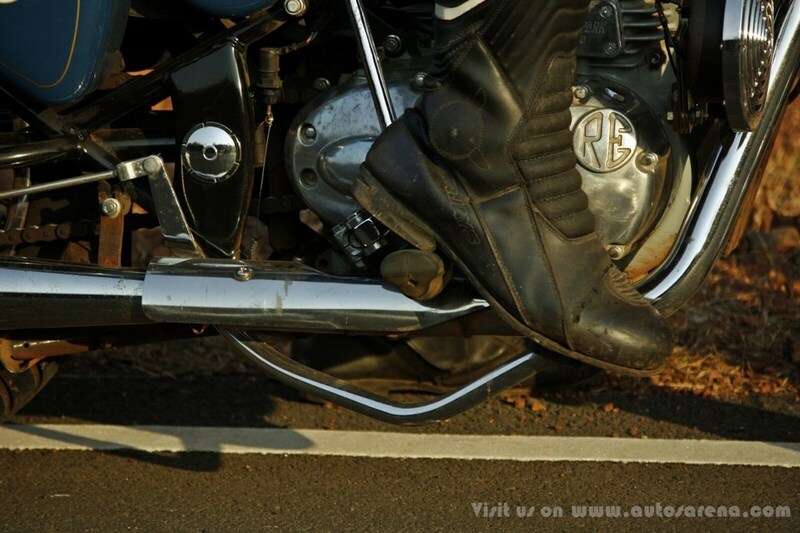 Thanks to the telescopic front suspension which soaks up the shocks from the road very efficiently. At the rear you get adjustable Gas charged Twin shock absorber which is like butter on the bread for comfortable riding. The bike weighs 187 Kgs with 90% fuel & oil and is a heavy machine but manoeuvres swiftly when put to test. 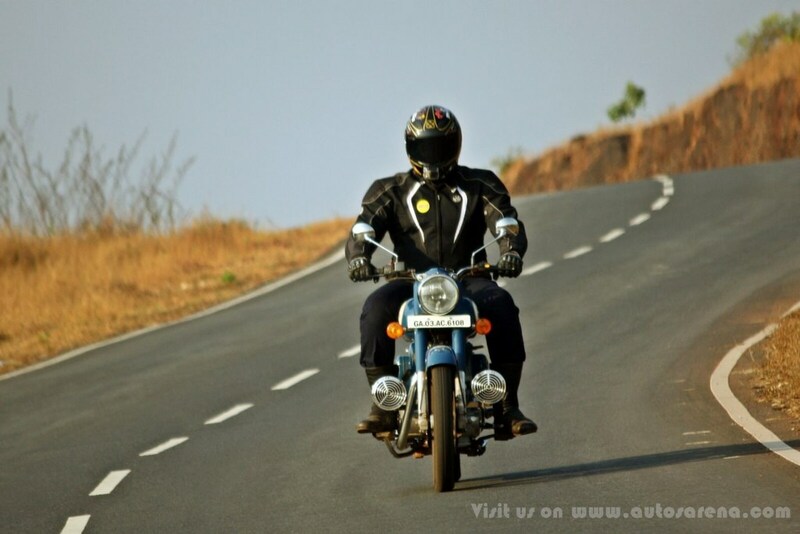 Royal Enfield may not be able to get the best scores but it is best to experience to a get a real feel of the bike. 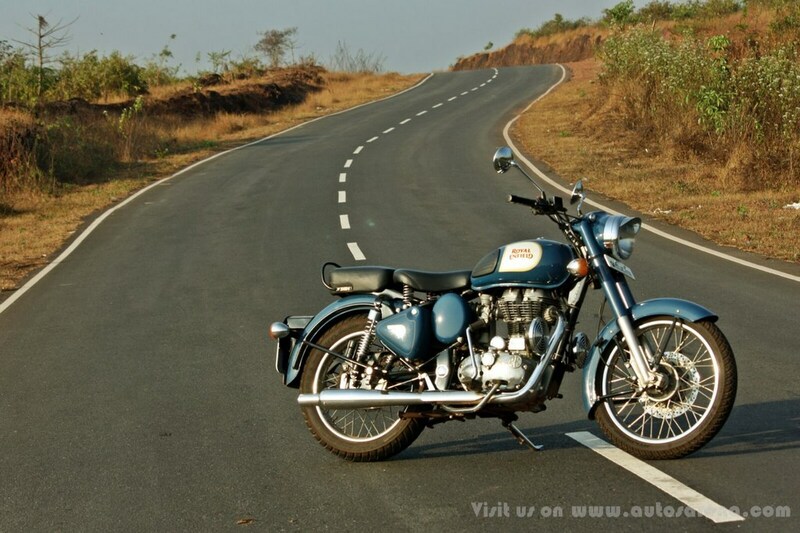 There are very little or no much choices if you are looking for an alternative to the Royal Enfield. If you want to buy a Bullet, just buy one. 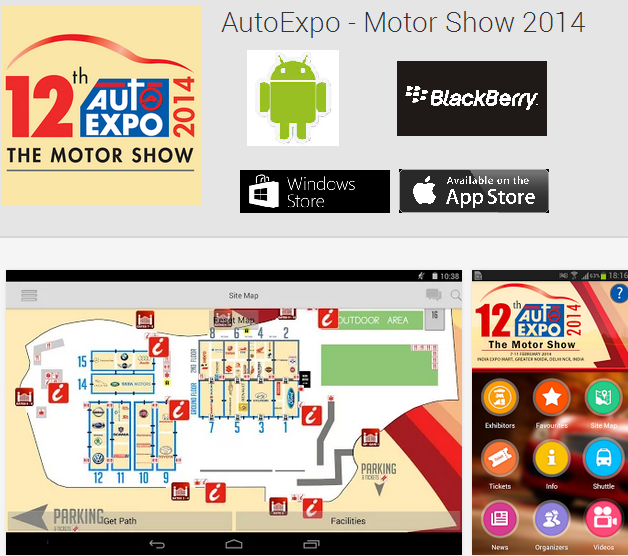 Have you downloaded the 12th Auto Expo 2014 Mobile Application?